He is known as Robin Hood in the publishing world for his desire to take from corporate publishing’s bottom line, and distribute some of that wealth to his clients, many of them starting out as poor struggling writers, holding other jobs to keep their artistic passions alive. It is this championing spirit, being on the side of the writers that caused him to fall out with the publishers for whom he worked when he was an editor, during which time he secured writers such as Graham Swift and Ben Okri. Starting out from Seckers to Faber to Cape – they all fired him, and then he thought his literary judgment ought to be put to better use in the service of the writers, on whose behalf he had alienated himself from his former bosses. For an agent, though, coming from publishing is the ideal experience. ‘I know publishing,’ he told me. ‘And, when I say I want ‘x’ amount for a book, people listen. And of course, I don’t back down – you can’t. It’s a little like being a good poker player but you can’t bluff.’ That’s what being a good agent is in a sentence. 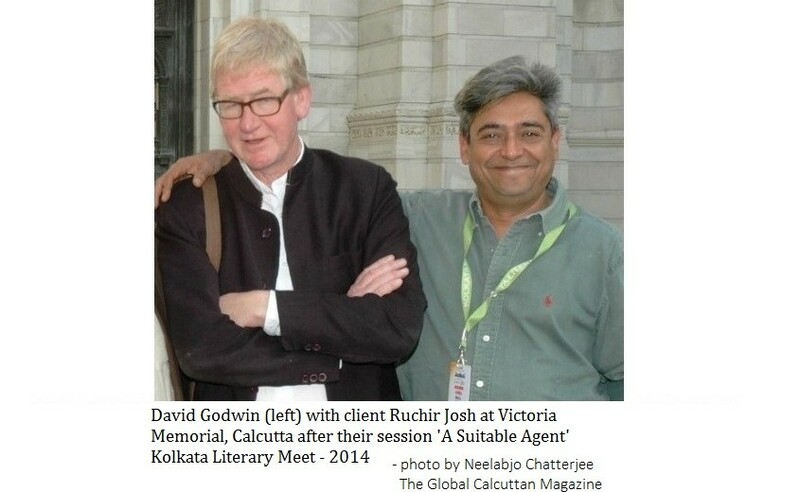 Thankfully, David was very generous with his time, and he expounded on many topics from being in Calcutta to the first time to the path that took him from publishing to becoming an agent, to his clients like, the authors Arundhati Roy and Jeet Thayil, in paticular – and to the state of publishing, today. No doubt many a writer might find our interview informative. I certainly learned a lot from speaking to David and finding out how a manuscript becomes a published book.